Sturgis, South Dakota (April 9, 2013) – The Sturgis Buffalo Chip® announces seven time Grammy nominated artist and pop culture icon Rob Zombie will headline an already aggressive lineup during the night of Hard Rock at the Sturgis Buffalo Chip on Wednesday, August 7. Rob Zombie, on tour following the April 2013 release of his new album, will take the stage after Mastodon and Machine Head rile up the crowd during the 2013 Sturgis motorcycle rally. Visit www.BuffaloChip.Com for summer music festival information and campground admission passes. 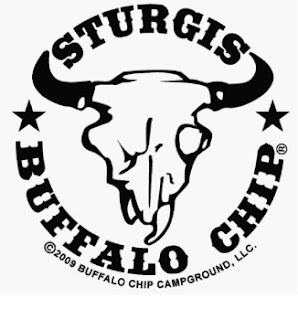 The 32nd annual Sturgis Buffalo Chip® motorcycle and music festival takes place August 2-11, 2013 during the annual Sturgis motorcycle rally. The summer music festival lineup already includes Machine Head, Mastodon, Kid Rock, Toby Keith, ZZ Top, Halestorm, Brantley Gilbert, Queensrÿche and Sublime with Rome. More bands will be announced soon. All summer music festival and motorcycle rally information is available at www.buffalochip.com or (605) 347-9000.